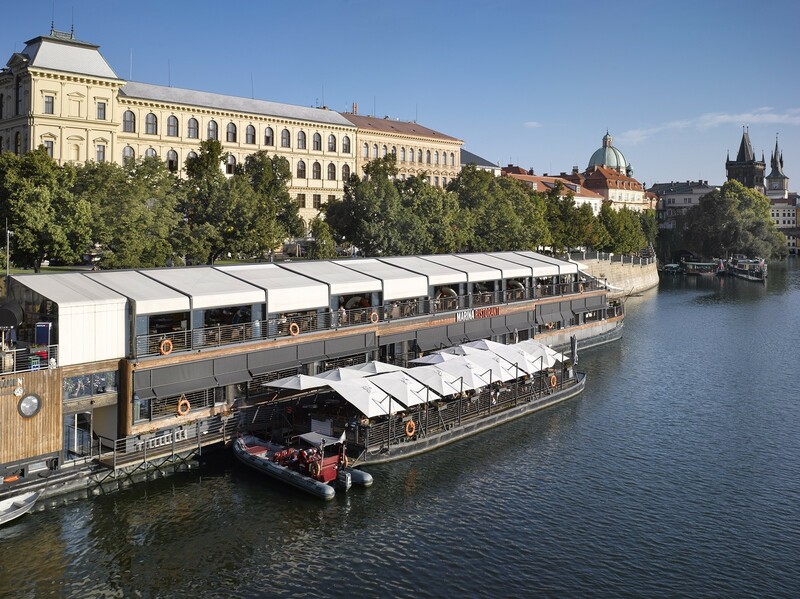 Floating restaurant. The restaurant has two floors; lower floor offers three separated sections with exhibition kitchen. 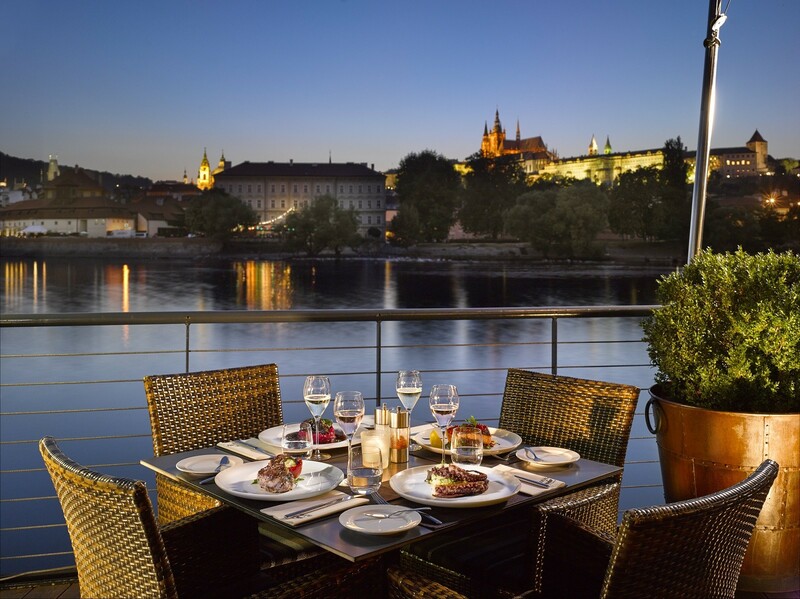 Open deck on upper floor is an ideal place for romantic lunch or dinner or perhaps just a glass of wine in the beautiful surroundings of old Prague and spotless view of Prague castle and Charles bridge, or a drink in one of our free bars.